My novels are all haunted, but I was the last to know it. Luckily, others were more astute, and I was asked by Arrow to write a novella for their Hammer imprint—a collaboration between Hammer Films and Random House publishers that has resulted in some of the most interesting short novels of the last few years. I loved Jeanette Winterson’s The Daylight Gate and Helen Dunmore’s The Great Coat, but when I was commissioned to write a novel with a supernatural aspect, I hadn’t read them, or any other adult ghost novel apart from The Turn of the Screw. Or I thought I hadn’t. When I stop to think about some of my favourite literature—AS Byatt’s Possession; Toni Morrison’s Beloved; Rebecca; Jane Eyre—they are all pursued by ghosts in one way or another. And even more strangely, when I think about my own work, it is deeply haunted... While I was imagining howling apparitions in sheets, hauntings of a more subtle nature were staring me in the face. So in my first novel, Mothers and Other Lovers—which was in so many senses a classic rights-of-passage, semi-autobiographical first novel—I had plenty of ghosts to lay to rest! I think I had needed to look at childhood and my relationship with my mother, and how that had impacted on somewhat disastrous love life choices of that time... This is probably strictly the least haunted of my novels, but it was definitely about dealing with my demons. Several of them. Of course, straightforward autobiography rarely works as fiction, so it was a story, an invention, but I could never deny the true-to-life tale that had to get out. 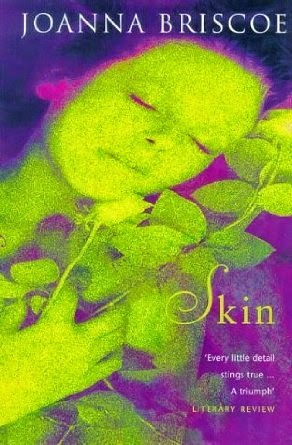 My second, Skin, is the most shocking and in many ways worrying of my novels. It features a woman who is a victim of her own beauty and keeps having surgery to hold the years back. As each layer of her face is peeled away, more of her past is revealed. She herself is utterly haunted by her lost youth, and by her longing for one man who ultimately leaves her. It’s that longing that really makes my novels haunted, I realise. I tend to write about obsessive, often dark and destructive yet highly addictive romantic or sexual desire, the longing itself more potent than the actual flawed relationship. In Sleep With Me, which was adapted by Andrew Davies as an ITV drama, the interloper, the unfathomable Sylvie, is frequently described as a ghost. In fact, the first line, which was used in the underground and train adverts, was "The day our child was conceived, someone else arrived. She was there as the cells fused, like a ghost." The indications that I should write something more paranormal were screaming at me but still I didn’t notice! Reviewers even frequently described that novel as sinister, creepy, full of suspense, eerie, mesmerising and chilling... yet sometimes it still takes an outside eye to see what it is we should be doing. 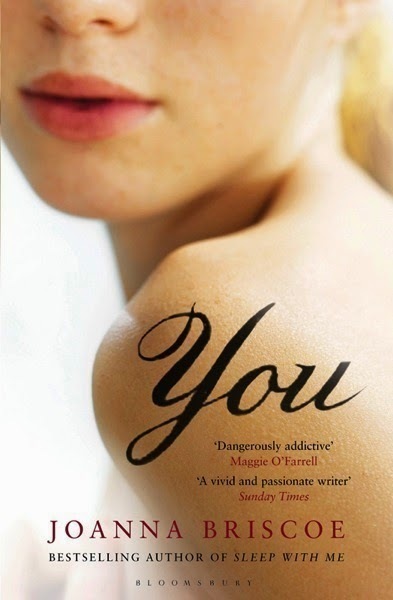 My fourth novel, You, was all about a haunting of a different nature, though it was set in a large, creaking, thatched Devon house. In it, Cecilia is driven almost mad by the mistake she has made in the past in giving up a child for adoption. So haunted is she by it, she can almost think herself back into that time. In the meantime, the past is actually catching up with her in the form of that child, who has become a ghostly figure in her head but is actually all too real. But this all took me to Touched, which is a finally novel that is decidedly and quite openly haunted! My first thought was a bright, bright—almost eerily bright—village green, and on that I saw a girl who dresses herself in Victorian clothes: shabby, faded, and decidedly odd. That was the starting point. Then I wondered about her mother, Rowena. Then I looked to her grandmother, and so the haunting began. In the meantime, Rowena, absolutely pursued by guilt, is developing her own very earthly passion for her intriguing neighbour, Gregory Dangerfield. Real life humans cause as many problems as the presences that haunt poor Rowena, while Rowena’s daughters have their own problems chasing them. And what is that face at the window, caught only in a split second film still? To me, with Touched, it was the perfection of the pretty village in which this family lives that was potentially eerie. And when they begin to attack the wall of their cottage to make a larger house, there is something not quite right going on, a sense of protest, of suffering. As ever, my characters are haunted by desire, longing, terrible guilt, and their past mistakes. But while they’re focusing on their own loves, lusts and shuddering regrets, less tangible apparitions gather in the margins. The spooks and spectres of the more plodding Victorian ghost stories don’t interest me, though there are some fine hauntings among them. It’s the presences that play while characters are looking elsewhere that get me: the glimpsed, the sensed, the loved. I think my ghosts have finally made their way out of the closet, and I look forward to sending them into the world, fully unformed. Joanna Briscoe is the author of Mothers and Other Lovers, Skin, You and the highly acclaimed Sleep With Me, which was published in eleven countries and adapted for ITV Drama by Andrew Davies. She spent her very early years in 'the village of the damned,' Letchmore Heath in Hertfordshire, the location for the celebrated 1960 film based on John Wyndham's novel The Midwich Cuckooks—and the inspiration, too, for this Hammer novella. You can find out more about Joanna on her website, www.joannabriscoe.com, or on Twitter @JoannaBriscoe. 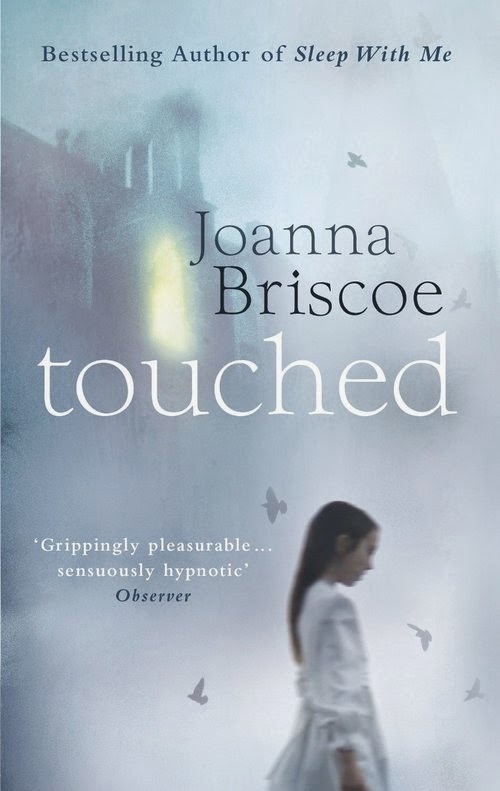 Stay tuned to The Speculative Scotsman to read my review of Touched as soon as is humanly.